How Do We Say NO to the Cravings and Addictions that Can Make Us Fat? Have you been talking to the mirror lately about any of the following? A titch bit more curvaceous than I meant to get in the middling ages? A “slight” potting of the belly there (guys)? A little thickening of the waist and climbing the ladder up the jeans sizes for you late twenties and thirty somethings? A little less than a “crowning glory look” in the hair department? And “where’s my smooth, glowing skin gone”? Here’s our fourth in the series of five blogs on healthy eating principles that I call C-U-NO (see, you know). And this might just be the answer you’ve been looking for: Saying NO to Cravings and Addictions. I’m on this same track with you. I’ve looked in the mirror and asked myself some searching questions about our family’s meals and snacks. Especially my little snackeroos here and there! I have to admit to being a bit of a food purist. 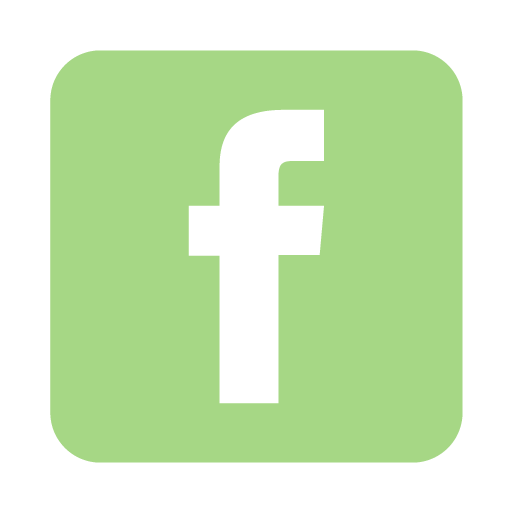 I like to look into the reasons behind the various food fads around and I’m willing to change our family eating habits if there’s some good evidence for positive results in the health area. Thanks to my wonderful husband, who is with me all the way on this (and thankfully I’ve never had to force my food views onto him), we live what I’m writing about with the C-U-NO principles. I’m a bit of a cross between Wholegrain Jane, Farm Fresh Tess and Raw Green Colleen. I’ve never been much of a Drive-Thru Sue, unless we’re on the road to somewhere and then we enjoy it. You’ll understand what I’m talking about in a minute when we look at what this book has to say. First of all, let me tell you that I am in the process of “trying on this book.” I’m not interested in fad diets, and this is not your usual recipe book. It's a book written with humour and interesting examples, as well as recipes. It contains huge amounts of recent information from the developing field of nutrition science written in a way you can understand. I’ve been digesting the ideas in Trim Healthy Mama for three-weeks and have quickly moved onto trying out the recipes and using THE PRINCIPLE that underlies this book. I have not even felt the usual craving for chocolate (not that I’m cutting that out BTW) and I weighed myself this morning because my jeans felt a bit looser than normal. Hmmmm… 2.5kg less than 2 weeks ago (and 3kg for Rodney)! Let me try to briefly explain the basics about what this means and how it works. This is how you can get out from under the control of cravings and lose some extra weight at the same time. Yay, two birds with one stone! You’ll have to read Trim Healthy Mama to get the whole picture though, the following is a summary of just some of the book that I’ve read so far - I’ve tried not to make it too scientific. “Empty" carb foods contain high percentage of carbs and very little nutrition.Soft drinks, jams, additives like corn syrup, and fructose and of course sugar in chocolate, lollies, etc. Now, back to those cravings. If you think you’re not addicted to anything try a short fast – just one meal or even afternoon tea or your morning coffee – how about no sugar for a day! Immediately cravings or addictions will reveal themselves and they can override our common sense can’t they. Trim Healthy Mama is not about will power and strict discipline. It’s about learning to indulge your cravings in wise but yummy ways.5 Yes, they said indulge! Hmmm…that sounds good! There’s the possibility of freedom here. But before I continue I want to summarise what Trim Healthy Mama says about ‘something’ that can either be friend or foe in an age and culture that’s bombarding us with ridiculous food choices. That something is Insulin - it’s designed to be the vehicle that transports glucose, proteins and fats out of the blood system into our cells for our use so that we can think, move, laugh and all those other things we do. Insulin is a hormone, it’s a goodie, it clears away excess sugars from the blood. But if you are constantly adding in the conditions for overproduction of insulin - you get fat storage. YES, THE ACTION OF EXCESS INSULIN MAKES YOU FAT and ties in with constant cravings. How do we get excess insulin? By eating excess carbohydrates. This is the main food group that stimulates insulin production. Carbs are converted to blood glucose very quickly – faster than fats or proteins are broken down. This causes a large rise of insulin in the blood. Fats have little effect on insulin levels and proteins cause only a smaller rise (sorry, too complex to explain here). However we do need carbohydrates in our diet. They give us instant energy. Most of us eat a typical diet heavy in carbohydrates. Carbohydrates in themselves are not bad, it’s just when they’re paired with fats & oils that they can become a problem and result in cravings & addictions and consequent unwanted weight gain. We know already that the most important job of insulin is to clear excess glucose from the blood by delivering it to cells that use it, muscle cells or brain cells for example. Your body works to stay in the safe zone of an 80-100 measurement on a glucose monitor. Once your blood sugar goes above this level insulin has to clear up the excess. So the insulin truck carries glucose out of the blood stream and delivers it elsewhere. If the glucose in the blood remains above 80-100 after a high carb meal or even a high carb snack then the insulin truck has to go back for a second load of glucose. At this point if the body’s cells have taken on their maximum quota of glucose they can’t take any more and then the insulin has to deliver the excess elsewhere. What to do?? Well, the fat cells don’t say “No thanks” to glucose - and that’s where the excess gets delivered. This is an example of what happens when you present your body with a meal that includes high levels of carbs AND high levels of fats. Do you see it? The fats, because they break down into glucose slower than the carbs, are put into storage by the insulin so that it can deal with the glucose from the carbs first. If the meals we eat continue with this same combination of fats AND carbs the above scenario repeats and long term fat storage results. Interestingly, the same story can be told using ‘healthy foods’ like a nice, green salad dressed with a healthy oil dressing and accompanied by two chunks of delicious, warm, just-out-of-the-oven, homemade, wholemeal bread. These types of meals are also the source of sugar highs which are inevitably followed by sugar lows. Like a sugar high, sugar lows are not good for the body either. They can make you feel lethargic, slightly shaky, and maybe even grouchy. You need a pick me up – hmmmm… maybe a couple of chocky biscuits or a …Magnum ice cream or even just a handful of dried fruit. By the way, even so called healthy carbs like a bowl of brown rice or a slice of fabulous, wholemeal bread or even sweet fruits can cause a sugar high. This is how we can eat ourselves into the next size up! BUT, DON”T THROW OUT THE WHOLEGRAINS OR THE FRUIT – we can scale them back and learn to use them in harmony with other foods. 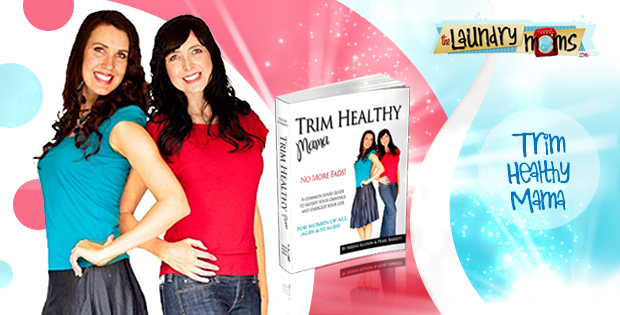 The Trim Healthy Mama plan to safely satisfy cravings and help you feel energised and not exhausted is the plan to divide meals into “S” (satisfying) and “E” (energising) meals (with a few other options in between) thus separating carbs from fats and making protein the focus in each meal. 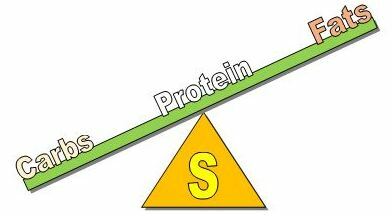 An “S” (for Satisfying) meal has protein as a focus, with High fats & Low carbs. A simple “S” morning meal might be eggs fried in a good fat or oil with a side of caramelised onions, mushrooms, capsicums or a slice of bacon (if you eat bacon) or a good sausage. BUT NO TOAST (high carb). When eating an “S” meal this is what happens. The few carbs convert to glucose quickly. Insulin is produced to deliver that glucose to the cells that need it immediately. As there is no excess of glucose in the blood stream now that means the fats, which convert to glucose more slowly can be delivered in “drip-feed” deliveries to the cells over a longer period of time. This means that little, if any, glucose derived from the fats get stored in the fat cells. You can’t get fat by eating fats but you can get fat by combining fats with carbs. This sort of meal should leave you free of cravings. You should feel satisfied - satiated. This is not about measuring portions or counting calories or even counting carbs. There is freedom here. Getting the right type of fats and oils is most important for our health. 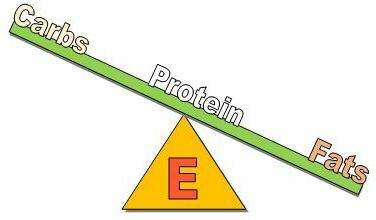 An “E” (for energising) meal also has protein as a focus, with Low fats & High carbs (but not too high). Jumbo Oats soaked overnight in water with a TBSP of vinegar, which breaks down the phytates and makes the minerals in the oats more available to your body. Boil the oats, add sweetener (preferably stevia), a tsp of ground golden linseed, (LINK) 1 tsp coconut oil, or cream. Almond milk (homemade & unsweetened) is a good replacement for milk if you want to shed the kilos. Serve with frozen blueberries. In an “E” meal, which contains medium level carbs, protein and only a few fats, the carbs convert quickly to glucose and are transported by the insulin to cells? Any excess glucose is stored in the fat cells and then transported out of storage as cells require it. There is no long term storage as glucose is quickly used up. GOOD NEWS ALSO. “E” meals help fill your cells up again with glucose because they contain more carbs; they offer easily accessible glucose for your primary fuel source. The Trim Healthy Mama recipes make use of some extra ingredients like glucomannan, made from Japanese Konjac root, a low carb thickener, great for making desserts. I hope this has been a help for you in “Saying NO to Cravings and Addictions.” I can see that our will power is still involved, but in a more empowering way. There are changes to make and they work. Let’s get going. I’ll be experimenting with our family over the next week or two and report back! The boys are already happy with the increased frequency of “meat” on their plates. Here’s a good tip: If you usually feel hungry late afternoon and want to stave off sweet cravings then eat a lunch that includes a protein, plus good oils and minimum carbs. I often have a large, green salad with a wonderful dressing or good mayo (not a sweet dressing), plus some tinned wild caught salmon (if poss), a fried tomato and maybe even some feta cheese in the salad. This really works! If you still feel peckish try a handful of soaked almonds. I’ll tell you why next week. Well done to anyone who has managed to cut out a couple of highly processed items from their shopping list already. Just a short newsletter next week. In 2-weeks time I’ll be looking at the process of TRANSITION. Wise health is good health.